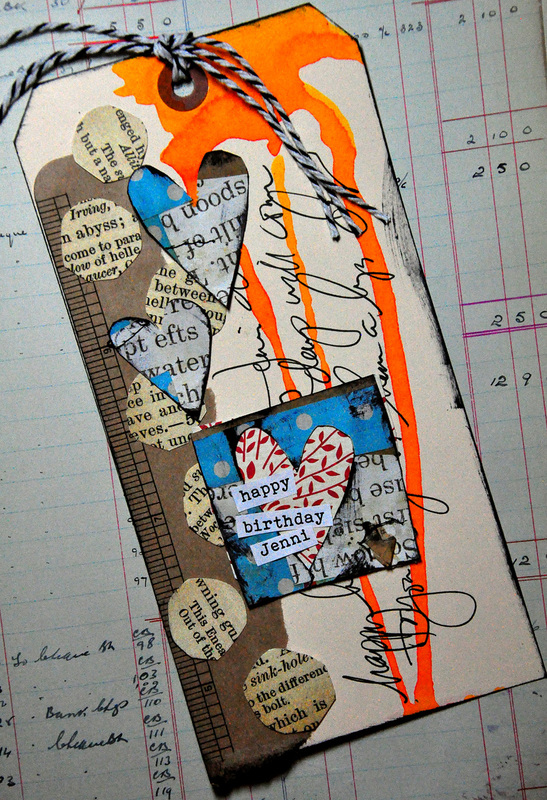 The fabulous Dina Wakley made a birthday tag to celebrate Jenni's birthday. In true style she's combined colourful painty drips with freehand cut shapes. Stunning as always Dina! That orange is intoxicating!!! Fantastic tag!